Alley Cat Rescue (ACR) works to protect cats on several levels: locally through rescue, rehabilitation and adoption of cats and nationally through a network of Cat Action Teams. ACR is dedicated to the welfare of all cats: domestic and feral. 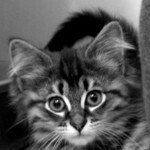 Welcome the the Alley Cat Rescue Care2 site! Alley Cat Rescue’s (ACR) commitment is to help stray and outdoor community cats in the United States and around the world, by promoting humane nonlethal care to improve cats’ lives. ACR works to reduce the number of feral cats living in colonies through a proven method called Trap-Neuter-Return (TNR). Please use the discussion boards to ask questions and see what is new in the feline world! PRESS RELEASE: Feral Cat Spay Day 2014!